Its that time of year again! Time to make a list of things I want to accomplish this year. You can see how I did on my 2013 list here. 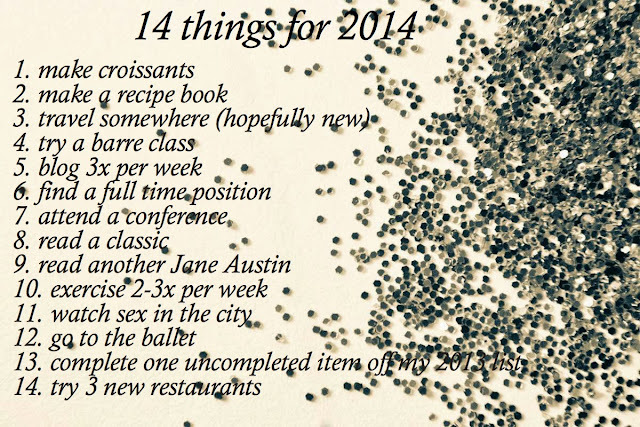 What's on your list for 2014?